Preheat ovedn to 350 degrees F. Line 2 baking sheets with parchment paper. Put 1 1/2 C sugar, 1 tsp. lime zest and cream cheese in a bowl. Place remaining 1/3 C sugar in a flat dish or pie plate and set aside. Add egg, milk, lime juice and mix until smooth. Add flour mixture and mix until dough forms. Divide dough into 24 equal pieces and roll each into a ball. Roll balls in reserved sugar to coat and place on baking sheet. Use bottom of drinking glass to flatten dough balls until they are about 2 inches in diameter. Sprinkle tops evenly with sugar remaining in shallow dish. Bake one tray at a time for 11-13 minutes or until edges are set and just beginning to brown. Cool on baking sheet for 5 minutes and then transfer to wire rack. 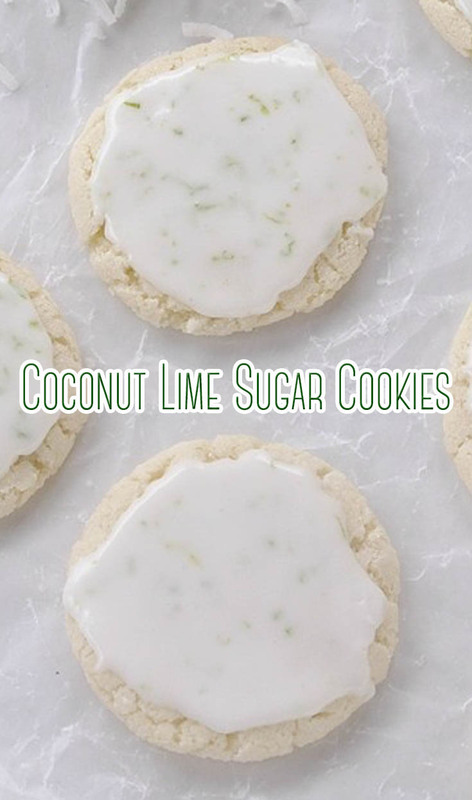 Mix together powdered sugar, lime zest and milk until a nice spreading consistency.